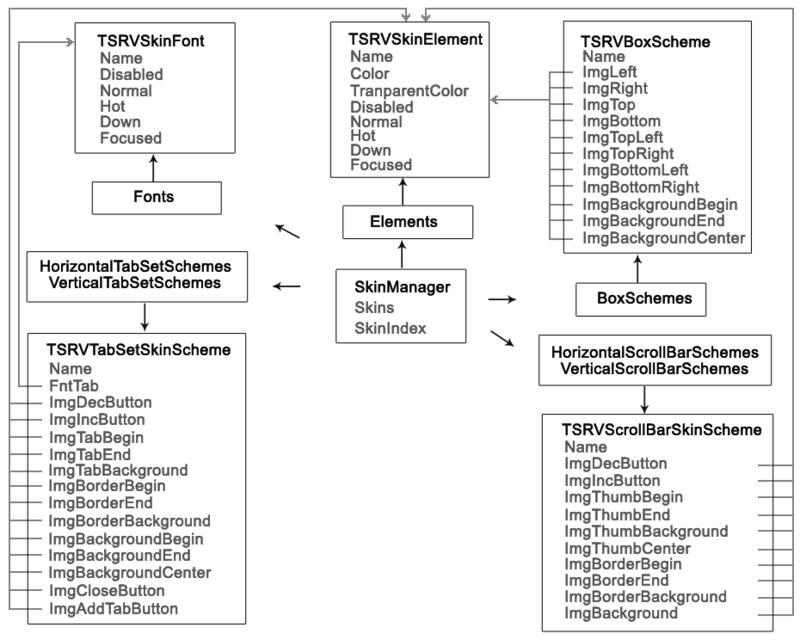 TSRVSkinManager contains a collection of skins and allows applying them to visual components from the ScaleRichView package. Skins is a collection of skins. SkinIndex allows choosing a skin from this collection. This skin is returned in the CurrentSkin property and applied to all controls linked to this skin manager. This scheme shows a skin manager component and its properties. •BoxSchemes – scheme for rectangular areas of different controls. Each scheme contains references to Elements (collection of images) and Fonts (collection of fonts).